If you have decided that you want to have a career in dialysis, then you have quite a few options before you. Perhaps you want to work as a technician in the field, helping nurses and doctors with their patients. On the other hand, you might want to become one of the nurses or doctors instead. There are some great career options in this medical field, but there are some things that you are going to need to do in order to make sure you have a great career in dialysis. As mentioned, there are a range of careers in the field. The first thing that you will need to do is consider what type of job you would like in this field. This will give you a better idea of what type of education you are going to need. Doctors, naturally, are going to need the highest level of education. Followed by nurses. Technicians, who still have important and demanding jobs, can get through their educational requirements in less time than either doctors or nurses. When it comes to your education and training, you also want to make sure that you are staying current with your training. Check the requirements for training in your field and your position, and make sure that you are getting any recurring training or additional training that is required. Many times, when you are getting your education through a quality school, whether in person or online, you can find career services available. These can be a great source of information when it comes to finding jobs after you have received your education. In some cases, they might be able to help with finding internships and even be able to help with job searches. If you want to be happy in your career, no matter what that career might be, it needs to be something that you love and that you are passionate about. 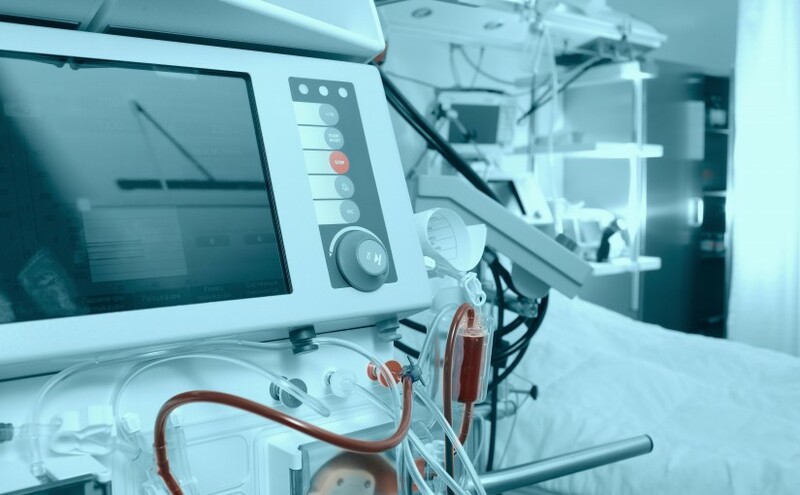 Those who have always wanted to work in the healthcare field and who are looking to help people who are undergoing dialysis can find a long and rewarding career. With these tips in mind, it should be easier for you to get an understanding of what it takes to be successful with a career in dialysis. School-community partnerships foster higher educational aspirations and tremendous benefits. Due to superior clinical leadership, and industry-leading education, we have chosen a partnership with DaVita. DaVita is a fortune 500 company and a leading provider of dialysis services in the United States. Administrative services are provided at more than 2,000 outpatient dialysis centers around the country, serving more than 165,000 patients. The company is also an international enterprise, with 84 outpatient dialysis centers in 10 countries outside the United States. Together we believe in our student's educational training, professional development, and future. Our partnership with DaVita has provided numerous internship, externship, and career opportunities to our graduates. We offer one distinct focus; hemodialysis. Choosing a school with only one specific career path in healthcare brings a unique benefit to students. A single-discipline training setting provides a truly individualized program that cannot be duplicated. A few reasons why you should attend Dialysis 4 Career. We are dedicated to making your educational goals our priority. Our licensed instructors will help guide you through every step of the way. Train with us for a rewarding career. We are a licensed and registered proprietary school of New York State. Dialysis 4 Career has also partnered with Bourough Manhattan Community College, (CUNY) and Kingsborough Community College. With our program you are eligible to take the CCHT exam immediately upon completion of our program and national review class. With this affiliation you no don’t have to wait 18 months to take the exam. We offer convenient day, evening, and weekend classes to fit any schedule. A benefit to taking online courses is that they offer flexibility. Log on to your online course at a time that works best for you. Onsite training is available days, evenings, and weekends to fit your staffing and scheduling needs. The benefit of attending our school is the accessibility to all the facilities and hospitals that have built relationships with us. Relationships based solely on our solid reputation in the hemodialysis field.